For Mike Hartshorne, his enthusiasm for helping people find a place to call home is second (in fact, third) nature. He represents the third generation of his immediate family who have been involved in real estate development, and who have helped to establish some of the most notable neighborhoods in the South Island region. Growing up surrounded by architects, builders and designers awakened Mike’s fascination with helping people to create a home that feels just right. 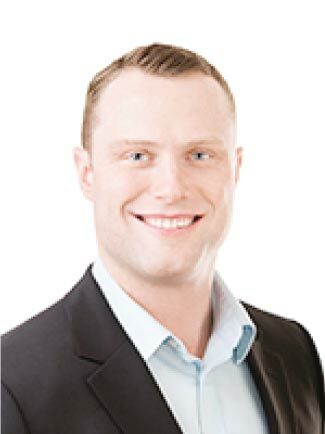 Since 2007, Mike has built a reputation as one of the most exceptional, hard-working, and relatable realtors in the Victoria real estate market, earning numerous accolades including MLS Gold Award, Top Sales and most recently the Royal LePage Chairmans Club. Mike is also dedicated to supporting community organizations like The Cridge Centre for the Family, Erdo Childcare, Mercy Ships, the Canadian Red Cross plus many local sports teams and cultural events. Mike and his partner enjoy living in the Westshore, entertaining friends and family at their home and cozying up with their not-particularly-well-trained French Bulldogs, Harvey and Mitzie. My partner and I designed and built our current home a few years ago. We were excited to truly infuse our home with our own hand-picked design elements, and create a space that reflects who we are. Our home is our sanctuary – the place where we can recharge from our hectic careers, entertain our family and friends, and slow down and appreciate all that we have. Why do you love helping people find/sell their home? Finding a place to call home is one of the most important challenges you’ll ever tackle in your life. Being a part of that process – to help people find a place where they can feel happy and secure – brings me enormous joy. I feel I can help to organize and prioritize the important factors when they are considering making a move. I’ve seen the impact having a home that fits just right can lead people to be happier and enjoy life more—it’s hard not to be excited when your efforts can create a whole new way of life for people you care about! Why did you decide to become a realtor? Real estate is in my blood – two generations worth, to be exact. I realized early on, after trying out other careers, that being a realtor satisfied three skills that come naturally to me and that I truly enjoy: helping to identify and solve a problem, marketing, and design. I found real estate to be a perfect fit for me, and can’t imagine doing anything else. I feel our team has a tremendous amount of integrity. I can honestly say that financial gain, while undoubtedly important, isn’t the first and only factor South Island Home Team considers when working through a challenge. I feel that we’re trustworthy, honest, and that the needs of our clients drive how we conduct our business. I also think we have a lot of fun as a team and with our clients. We aim for a ‘professionally casual’ tone in what we do— we like to think we can do an incredible job, enjoy ourselves, and outperform expectations all at the same time. Why do you love living in the South Island area? I believe the South Island area has the best of both small towns and larger cities rolled into one. Of course, one of the best things about living here is our mild climate – we never get too cold or too hot. We also have a sophisticated restaurant, art and cultural scene that you might see in a larger city, yet Victoria never seems ‘too big’. For these reasons, we are home to many who have “imported” themselves here. People stay because we seem to have a more relaxed pace. We are willing to slow down, get to know our neighbours, find out where they have come from and what they do, and why they have chosen to settle here. You also can’t ignore the beautiful natural scenery of Southern Vancouver Island. No matter where you live, you are never more than 20-30 minutes from ocean or forest. I think this helps us to feel more at ease. Getting away is never far away. What helps you to be a better realtor? I also love the transformative aspect of real estate. I grew up in a real estate family – we have developed a number of remarkable residential communities in Victoria. I had many opportunities to sit in with architects, designers and contractors who collaboratively planned a neighbourhood, a show home or even just one room of a house. I think this helped me to hone my passion for design. It excites me to look at the ‘now’ and help others to see what could be ‘next’. How would you describe your clients? I love helping clients discover what is working or not working in their present circumstance, what would they would like to improve or change, and how we can get to the best possible solution for them. I guess you could say I love working with folks who aren’t exactly sure where they’re going, but are open to new things and willing to look beyond the expected. Many of my clients are couples and singles who appreciate great design and exceptional quality. I love helping people who are willing to take a diamond in the rough, create a vision of what they want, and make it their own. What does an ideal day off look like for you? An ideal day off would be a combination of exercise, play time with my 2 French bulldogs, and an afternoon at the lake with friends, family, good music, nice wine and great BBQ. Jenn Raapaana is one of the few people in Victoria, BC who can proudly claim that she is a born-and-bred Victorian. Growing up on the Westshore, she has always had a deep connection to the surrounding natural beauty of the local beaches, forests, and parks. 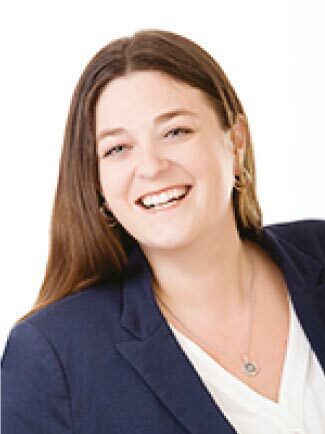 Before becoming a real estate agent in 2004, Jenn worked in the tourism industry, where it was her job to help visitors fall in love with her hometown. 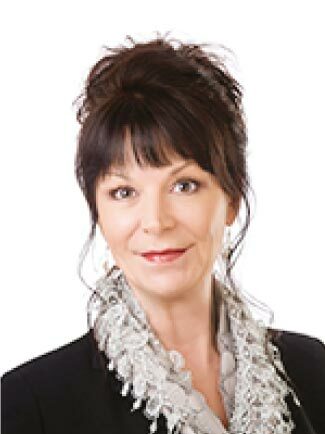 Her love for the South Island and her passion for helping newcomers to feel welcome enabled her to transition easily and enthusiastically to helping people buy and sell their homes. Jenn partnered with Mike in 2011, and together they have built a real estate team that combines exceptional customer service and playful professionalism. Jenn has been recognized as an MLS Award Winner and has received a President’s Gold Award. Jenn is a volunteer realtor for the Langford’s Affordable Housing Program, assisting low-income families through the process of purchasing a home. She is also active with Rotary, acting as Secretary of the West Shore Rotary Club for four years, and most recently as President-Elect. Jenn also actively supports The Shelter Foundation andThe Cridge Centre for the Family. Jenn lives in the Westshore with her husband and son. They take every opportunity to go outside and play. Quite simply, home is a place where I am happy, comfortable and can relax with family. There is nothing more important than home and family. It is the place where we arrive after a long day and feel welcomed and safe. I love that I'm able to help with something as important as finding their home. And I love the relationships that I build with my clients. Over the years I've made some amazing friendships, and it brings me such joy to be invited back into the homes I helped them find! My first “grown-up job” was working in tourism and hospitality, which helped me to see Victoria and the South Island with completely new eyes. My job was to help people fall in love with this city and everything it has to offer. I found that I loved the customer service aspect of tourism, that there was so much joy to be gained from making people feel welcome and giving them useful information about our area. A great opportunity came up to work for a realtor, and I realized that everything I loved about working in the tourism sector - my passion for people and love for this city - could be directly applied to a career in real estate. I loved that I moved from helping visitors find their way around to helping people stay and fall in love with Victoria. I consider myself to be down-to-earth. I understand how finding the perfect home can be a stressful situation, so I don't believe in pressuring clients to make snap decisions. I am honest, and I don’t mind giving direct advice. We call our brokerage South Island Home Team because we are just that – a team. We rely on each other, and don’t compete with one another, which means we can always put the interests of our clients first. I was born and raised In Victoria, the West Shore to be exact. I love the beaches, parks and being able to spend time outdoors year-round. Since having a family I'm even more appreciative of all the family friendly activities on the South Island and I'm happy to be able raise my son in this community. I really enjoy helping first time buyers or sellers because I think I am good at listening to what their main priorities, helping them to be realistic and still get what they want, and reassuring people that they are making the right decisions. As a wife and a mom, I love helping young families to find a home they can grow into with a budget they feel comfortable with. As their family grows, I also love helping them find a new space that fits their changing needs. As you probably have guessed already, an ideal day off is a day spent with my husband, son and dog - usually a walk on the beach or visit a park and a yummy home cooked meal. If I can squeeze in a few minutes to read a good book before bed, that’s the perfect end to my day. Sarah Williamson is, first and foremost, a people person. Her many years working in the hospitality industry enabled her to develop an instinct for what people need and want, and a curiosity to find out more. She also developed an eye for detail as a bookkeeper. The skills she honed in her previous careers make her one of the hardest working and most amiable realtors in the industry. Since 2005, Sarah has loved helping people to get their homes ready for a stress-free sale, and to help them to find their perfect home and make the transition into the next stage of life. She is keen to help her clients explore what makes Victoria such an ideal place to raise a family or retire in style. Home is the place that I can kick my shoes off and relax. Helping people is a big part of my nature, in my personal life as well as my professional life. For many years, I volunteered as a counsellor, and I came to understand the power of listening. I believe you get what you give, and I find it incredibly rewarding to help people to feel that they have been heard and taken care of. I have always loved helping people – I spent many years in the hospitality. I also worked as a bookkeeper. I have a hard time sitting still, and working a 9-5 desk job is not exactly my cup of tea. I realize that my personality wasn’t well-suited to being a bookkeeper, but it did help me to develop a keen attention to detail and the discipline to complete every task from start to finish. Both these skills are helpful in real estate, as every transaction has many steps to complete. My clients know they are in good hands as I take the time to dot every “i” and cross every “t”. Being a realtor gives me the freedom to set my own hours, and help my clients in the times that are most convenient for them. Whenever I can, I love to spend time outdoors. The tip of South Island is so unique because wehave so many ways to access the water. Almost everywhere you go, you are never more than a few minutes from the ocean – the Strait of Juan de Fuca and the Salish Sea, plus inland waterways like the Inner Harbour or the Gorge. We also have gorgeous lakes, surrounded by walking trails. Plus, we have all the amenities of living in a big city without the busy-ness and noise. I love getting to know my clients and getting a clear idea of what their perfect property looks and feels like. I have lots of energy, and I am always excited to view properties that my clients express an interest in. I am not afraid of sharing my opinions and ideas, so I love working with clients who are open-minded. I work well with people who are going through life changes, like retirees and empty-nesters who are craving a new home to get a fresh start. When I let myself take some time off, I love to get away on a holiday – some place warm where I can relax. On my rare days off, I love to get my body moving in the morning – maybe going on a hike, getting a workout at the gym, or taking a yoga class. The rest of the day, I would spend time with friends, maybe over dinner. Spending time with my son is always a big priority too. Rhys Duch is no stranger to a little friendly competition. As a member of the Victoria Shamrocks lacrosse team, he knows that a good strategy, hard work, and supporting your team every step of the way is how you get the outcome you want. He applies this same energy to his real estate clients. 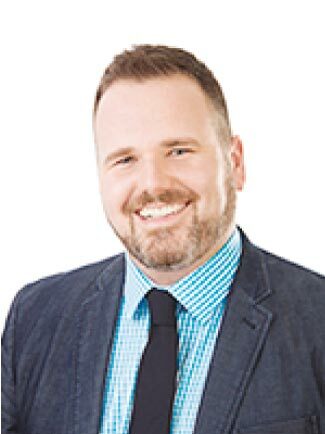 Since 2015, Rhys has worked as a licensed realtor in Victoria, BC. He loves to help take the stress out of buying and selling homes and getting his clients settled into the perfect space for them and their families. For Rhys, the South Island is the perfect place to raise a family and stay connected to friends - no one is ever more than 30 minutes away, and we are surrounded by oceans, mountains, and forests. Along with his Shamrock teammates, Rhys supports the Subway Commit to Fit initiative, which inspires young kids of all ethnicities and economic backgrounds to lead active, healthy lives. He is also passionate about supporting local sports teams through active volunteering at community events and sponsorships. Rhys lives in the Westshore with his family. Home is the place you feel most comfortable, where you can be yourself and always have a sense of belonging. Buying a home can be such an exciting, fun, and positive experience. It can also be a bit nerve-wracking, especially when you are dealing with tight timelines. I love being able to help people feel reassured through the entire process. When they get the home they want, or sell their home with relative ease it is very rewarding. A few years ago, I decided to transition to a new career path, a number my friends and family suggested I could apply my skills and strengths as realtor. For my entire life, I have enjoyed sports and playing on teams. I am still an avid lacrosse player, and play with the Victoria Shamrocks. Being part of a team is all about working together, supporting your teammates under all circumstances, and making quick decisions. I feel that these qualities make for a being a good realtor too. A little competitiveness helps too! I have also worked as a personal trainer. My favourite part of the job was to help my clients identify their goals, and create a realistic plan to achieve them. This is a big part of being a realtor too. I love seeing people creating a vision and then accomplishing what they set out to do. I bring a very enthusiastic approach and try and make the experience enjoyable from start to finish. It is one of my jobs to take the stress out of the experience, and I jump on doing that early. I am easy to get along with and keep things positive. So many reasons! Unlike other sprawling cities, I'm never more than a half hour from family or friends. Victorians love to “complain” when they have to travel farther than 15-20 minutes to get anywhere, but compared to everywhere else, our commutes are pretty easy. Our city is growing quickly, but there are so many great little neighbourhoods that give you a small town feeling, like Langford, Sooke, Sidney, Oak Bay, Fernwood, and Cook Street Village. You really get to feel part of your community. We are a big city with a small-town heart. I also love that we have such an abundance of nature here in the South Island. I can visit the ocean and the rain forest in the same day. I love meeting all sorts of people, and getting to know what kind of home will suit them and their families the best. Working with young couples or singles to find their first home is always exciting. I also enjoy working with empty nesters and older folks to down-size and find homes that make more sense for them. On a perfect day off, I would take the dogs for a morning walk in nature with my family. Then maybe connect with friends for a game of golf. We would end the day with a barbecueat our home. Once we put the kids to bed, I love to settle in with a cold drink and the game with my friends and family.